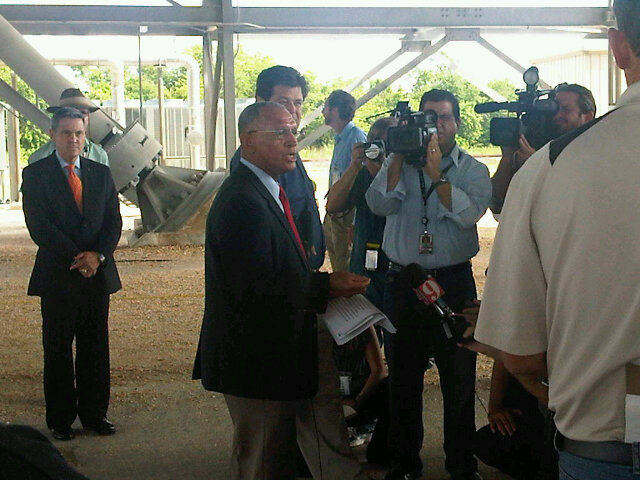 According to a NASA press release, NASA Administrator Charles Bolden met with Space Coast community leaders, Kennedy Space Center employees and news media representatives during a Tuesday visit to Florida. He outlined recent steps the agency has taken toward missions to deep space and Florida's critical role in future exploration. "As our nation looks for ways to compete and win in the 21st century, NASA continues to be an engine of job growth and economic opportunity," Bolden said. "From California to Florida, the space industry is strong and growing. The next generation of explorers will not fly a space shuttle, but they may be able to walk on Mars. And those journeys are starting at the Kennedy Space Center today." Bolden met with several hundred Space Coast community leaders, business executives, educators, community organizers, and state and local government representatives to discuss their partnership with NASA to keep America the world leader in space exploration. He discussed jobs related to the agency's new Orion multipurpose crew vehicle and other activities the agency is pursuing to develop new capabilities, including the placement of the Commercial Crew program office at Kennedy. The administrator also talked with reporters while touring the agency's new mobile launcher for the Space Launch System (SLS), the heavy-lift rocket that will propel astronauts into deep space. He outlined NASA's plans to use the launcher from Kennedy's Launch Complex 39 to send astronauts in the Orion spacecraft to asteroids, the moon and other destinations in the solar system. The new 6.75 million-ton mobile launcher is a tangible step on the agency's path forward to launching deep space missions. Bolden met with Kennedy's work force and thanked them for their commitment to the American space program. He answered questions from workers about NASA's future and Kennedy's important role in implementing the bi-partisan vision for exploration agreed to by President Obama and Congress one year ago.